FrontRange Solutions GoldMine is a program that manages contact information as well as interaction with these contacts, such as calls made to and by the contact, e-mail and sales information. GoldMine backup is the easier way to keep your important information safe and secure. How to create GoldMine backup? 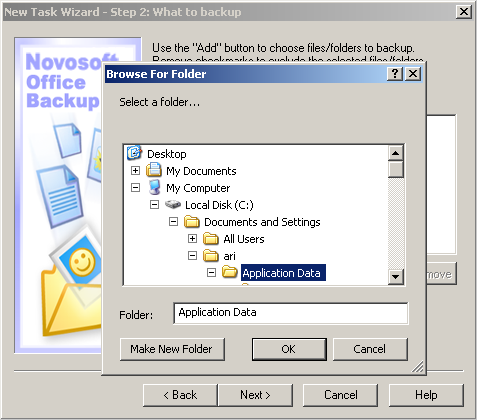 automatically back up the whole My Documents folder, if the files you need are stored in this folder. 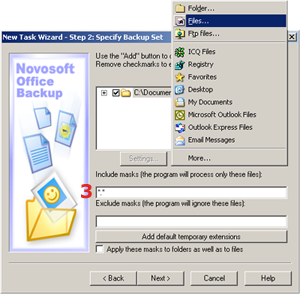 Read more about My Documents backup. 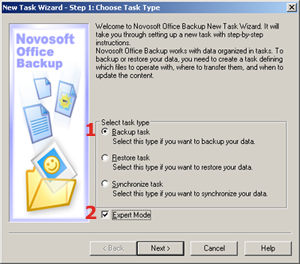 You can also specify GoldMine file extensions in Step 2 of the New Task Wizard: What to back up (Expert Mode) and Novosoft Office Backup will find and backup all files automatically.